This is the fourth major book we have produced on the Treaties which form the basis of the law of the European Union. This book follows the general format of our previous books. 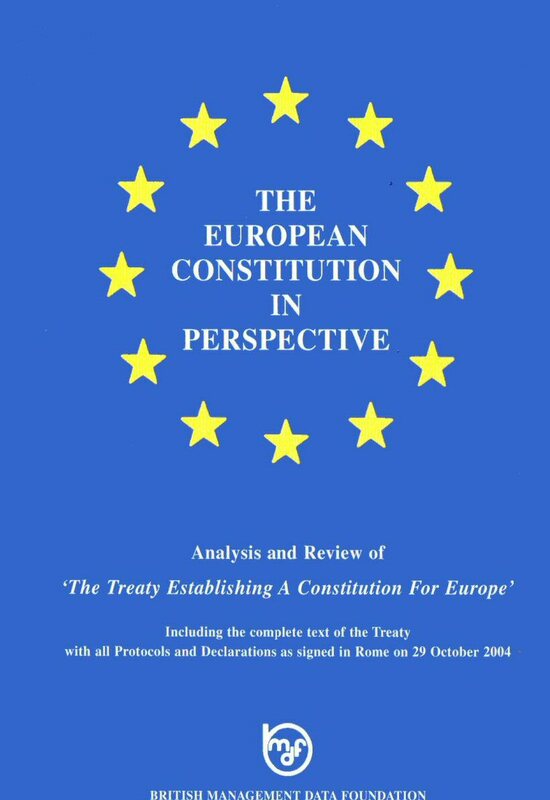 This publication of 384 pages on A4 paper contains the complete text of the Treaty, which consists of the Preamble, the four parts of the main Treaty, the Final Act and the Protocols and Declarations, as signed on 29 October 2004 in Rome. There are extensive analyses, including the key issues and the changes to the voting arrangements in the Council for each area, a fourteen-page detailed index and pertinent additional papers, including the Laeken Declaration. Unlike the Treaties of Maastricht, Amsterdam and Nice, which amended the existing treaties, the Constitutional Treaty is entirely new and replaces these treaties. A detailed and extensive analysis is particularly important to understand the Treaty and to how it has evolved. With this in mind, we have annotated each article in the new treaty with a reference to show either its link with the earlier Treaty [either the TEU or the TEC] and article numbers or whether it is a new article. In addition, we have prepared detailed summaries of the key issues and the changes from unanimity to qualified majority voting in the Council. A detailed fourteen-page index, covering the four Parts of the Constitution (giving references to the Part/Article number and page number), and the Protocols and Declarations attached to the Treaty.